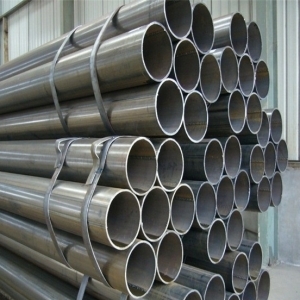 Welded steel pipe are common pipe type with technology and craft of welding. Normally welded steel pipe may divide into two categories such as electric resistance welded steel tube (ERW) and Spiral welded steel pipe. According to different welding methods, it can be divided into arc welded pipe, high frequency or low frequency electric resistance welded pipe, gas welded pipe, furnace welded pipe, Bondi pipe, etc. Meanwhile, according to its steel characteristic and carbon content of steel, welded steel pipe also may be made by mild steel and high carbon steels. If welded steel pipes are finished through related surface treatment such as zinc plating and black coating, then its function and advantage of usage are in more broad range. Sino East Steel, as top steel manufacturer in north of China, ensure the supply of variety of welded steel tube in prime quality. 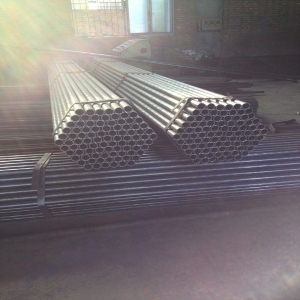 Wide range of usage about welded steel tubing, for example, all-purpose welded steel pipe used for compressor stations, power plants, refineries, natural gas transportation and steam, vapour transportation. In addition, It is also widely used in manufacturing structural and mechanical spare parts like oil drill pipe, automobile transmission shaft, bicycle frame and steel scaffolding used in construction. Welded steel tube can improve material utilization, simplify manufacturing process, save steel materials and processing time. It can be finished and processed as welding, bending and flanging. Its weight is only 1/5 of square steel because of welded steel tube with lighter weight. 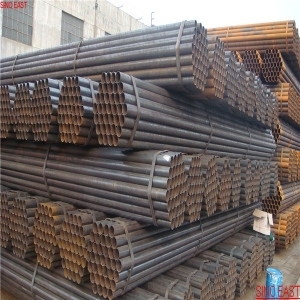 Welded steel pipe has corrosion resistance, acid, alkali, salt and atmospheric environment corrosion resistance, high temperature resistance, good impact resistance and fatigue resistance. Welded steel pipe has excellent mechanical properties and the machining is more easy. 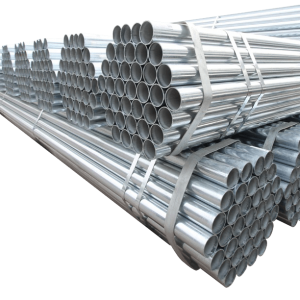 Stainless steel pipes are really good corrosion resistance and pliability comparing with welded carbon steel pipe, meanwhile, stainless steel pipe also may ensure its weldedability as well as welded carbon steel pipe’s.